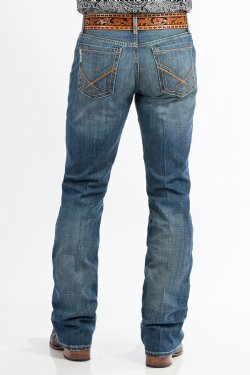 A classic, wear-anywhere medium stonewash is enhanced with whiskers, chevrons, and tacking on our best-selling slim fit. 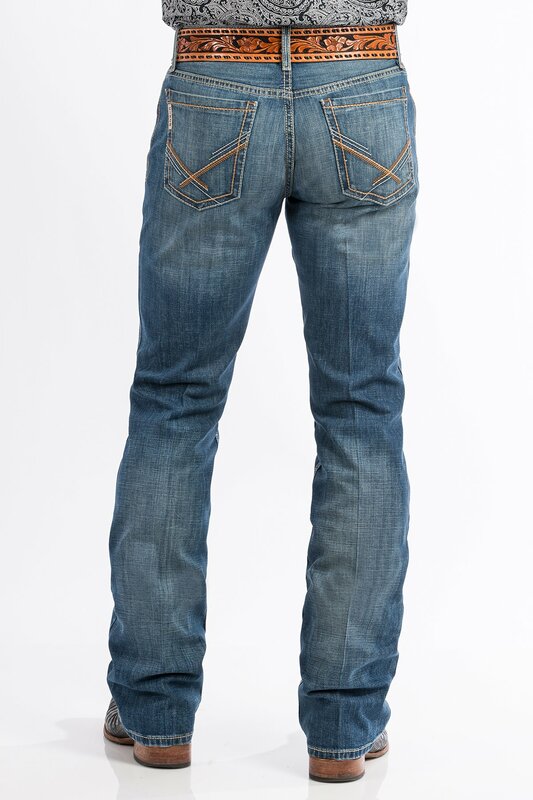 Designed with performance denim for all-day comfort and a simple fashion back pocket embroidery, this IAN jean is a versatile addition to any denim collection. 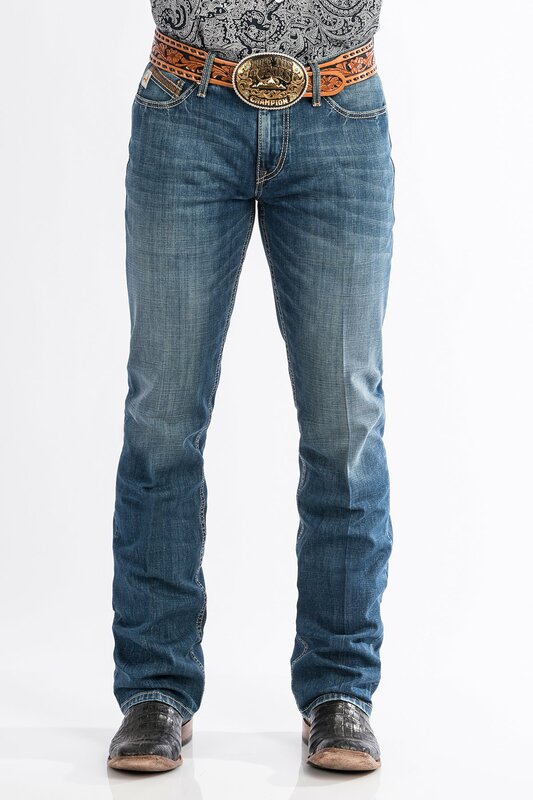 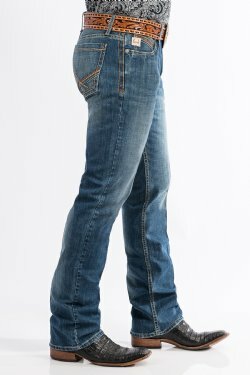 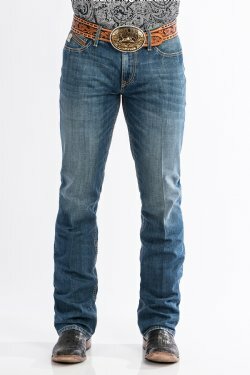 CINCH men's jeans are tough and durable for the rodeo arena or life on the ranch, yet fashionable enough for a night on the town alongside a pair of cowboy boots and western shirt.